Wiha’s slimBit boxes have received the Red Dot Award for Product Design 2019. 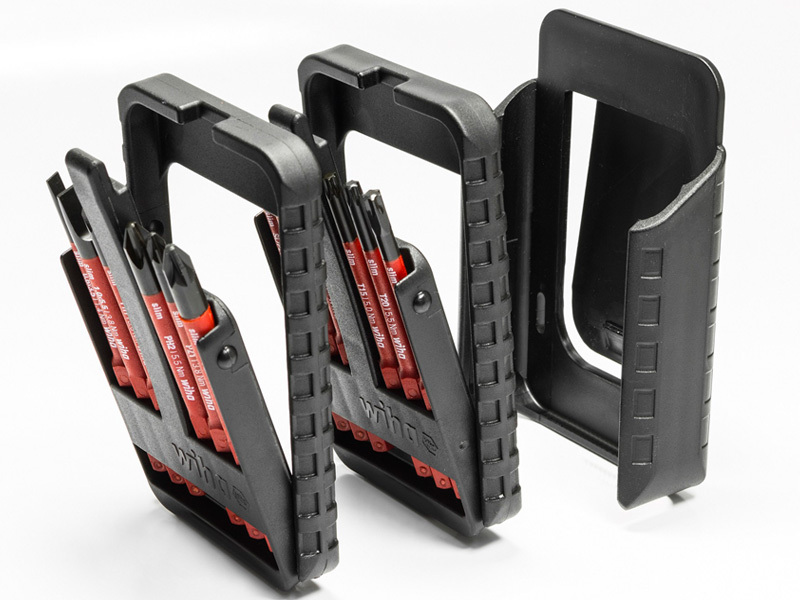 Wiha has created a compact transport, removal and storage option with its new slimBit boxes for six or 12 slimBits. Product development aimed to provide users with a significant advantage in handling slimBits during their day-to-day professional life. In the large sets, 12 slimBits with different profiles are stored in two boxes containing six bits each. This allows users to carry slimBits around safely, neatly arranged in a box. When open, the box offers users an optimum view of screw profiles, enabling users to select and remove profiles quickly. Users can handle profiles with a single hand thanks to the practical belt clip. Wiha slimBits excel due to their slender shape and protection against electric shock, making them particularly advantageous for use in the electrician’s trade. Ronny Lindskog, Director of Sales and Marketing for Wiha, commented: “Being awarded the Red Dot affirms the high design quality behind the product. Professor Peter Zec, the Red Dot initiator and CEO, also praised the winner. He said: “I congratulate the award winners warmly on their great success. “The fact that their products were able to hold their ground during the jury’s strict assessment is a testament to their exceptional design quality. For more information, visit: www.wiha.com.